Here at מחנה יבנה (Camp Yavneh) we strive to educate all our חניכים (campers) on the deepest מסורתים (traditions) of Jud aism. There may be no older traditions in Judaism than those surrounding the wedding ceremony. The binding of two נשמות (souls) before Hashem, before their community and under a symbol of their household. It is a beautiful ritual to behold and a great learning opportunity for our children. 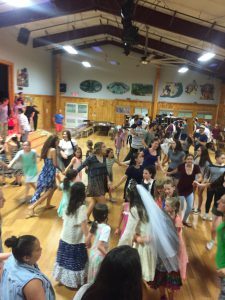 We were told by many חניכים, that they themselves have never been to a wedding because their parents always leave them at home with the babysitter (a very reasonable thing to do.) So עדת Gurim decided to stage our own mock wedding with our lovely מדריכים (counselors) Jonathan and Rachel. There was a welcoming party for the כלה (bride) and a חתן’s tisch (singing with the groom). Then we had the בדקן which went off without a hitch. Our very own Rabbi Ritchie officiated the ceremony and went through all the prayers. After all was said and done the whole building burst into a massive wild dance party. Even עדת Maalot joined in the fun and crashed the party. As chairs went flying through the air, sweat flew everywhere and one could feel the electricity in the air. 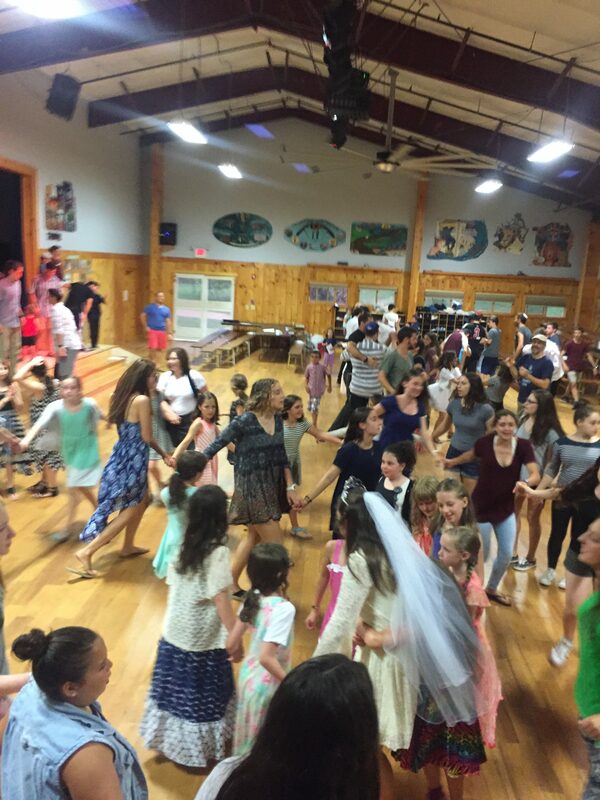 Many a Gur danced and sang their way to the צריף that night, savoring the wonderful רוח that we collectively created.